… and so you have an immediate impression of this wonderful new album from Jenny/ Omnia. The above track is the opening number and sets the tone for the whole CD. Steve writes in the enclosed booklet, “Many Omnia fans and other musicklovers have asked if it would be possible for Jenny to make another more personal CD dedicated solely to the magickal music of the Harp played by the one and only Harp Fairy herself”. 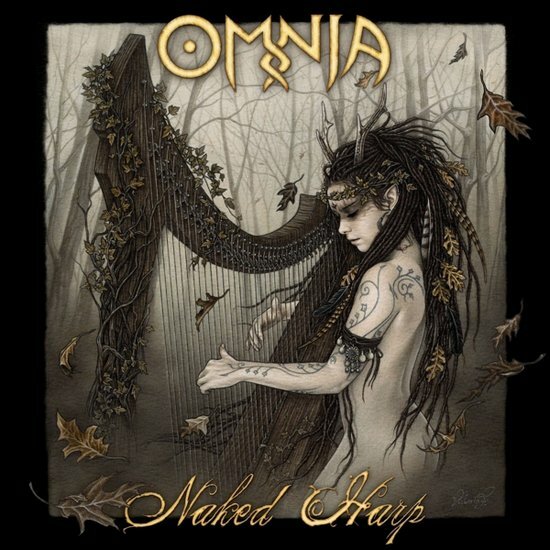 Omnia fans will obviously recognise the ‘Omnia Medley’ with melodies taken from Etrezomp-ni-Kelted, Alive!, I don’t speak human, An Dro and Black House. I should also mention the fabulous cover with illustrations from Victoria Francés. 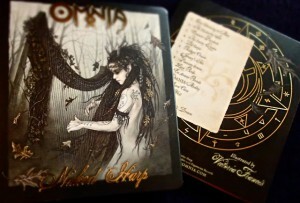 From Valencia, Spain she has designed a number of illustrations such as Hekate for the Luna album from Faun. For more information see her website and fansite. All in all a marvellous Yule present! And for all lovers of harp music – a must. Thanks Jenny for getting this album together.